Once the rule of law is re-established in Catalonia, Spanish authorities will have to rethink the whole organisation of Spain, the leader of the liberal Ciudadanos party told EUobserver. 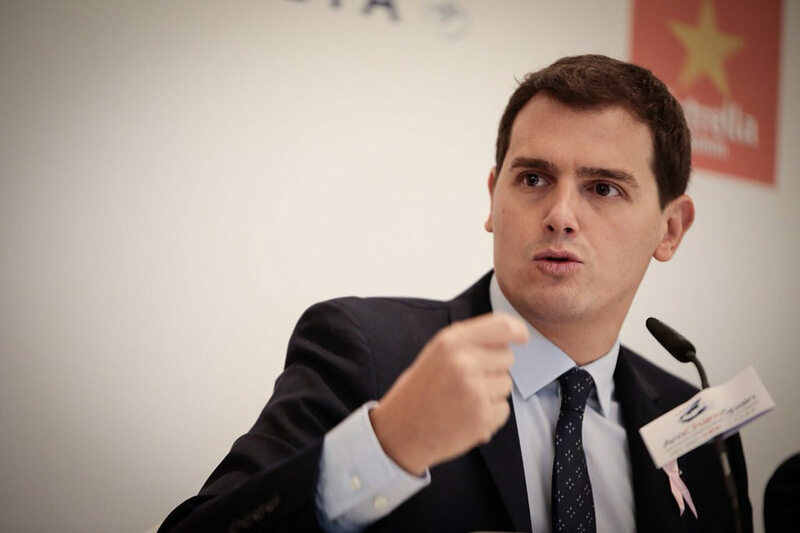 "How to organise our country is a good discussion with the rest of the country, not just for Catalonia," Albert Rivera said in an interview in the margins of the liberal Alde party congress in Amsterdam. 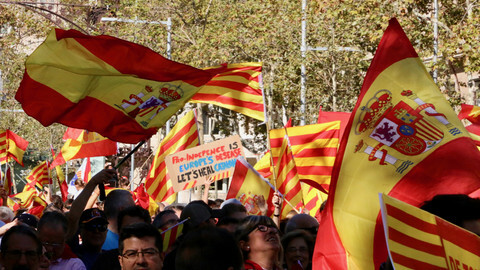 "We need to reform, but not with privileges for one or two regions," he said referring to the different levels of autonomy between the 17 Spanish autonomous 'communities'. "We can talk about the financial system for Catalonia and the rest of the communities, about infrastructures and public services and how to finance them in Catalonia," he said, adding that the discussion should lead to a reform at the national level. "We have to reform Spain, not just Catalonia," he insisted. He added that "Spain needs a new project for the future," also on issues like innovation or the fight against corruption. Rivera said the conservatives of Spanish prime minister Mariano Rajoy "don't have a project for the future". 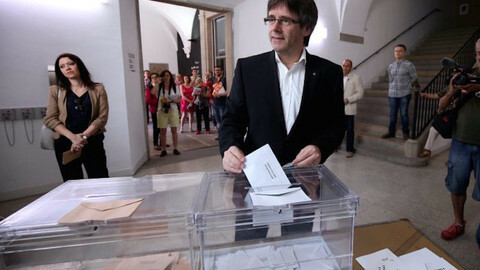 But he didn't call for new national elections once the situation is back to normal in Catalonia. "I'm not sure, because Rajoy is not used to do any change," he said, adding however that if next year's budget cannot be passed because it is blocked by the Socialist Party, "we'll have to take decisions". But first, Rivera pointed out, the urgency is to "reconnect the people of Catalonia". On Thursday (7 December) the campaign for elections in the region on 21 December will begin. 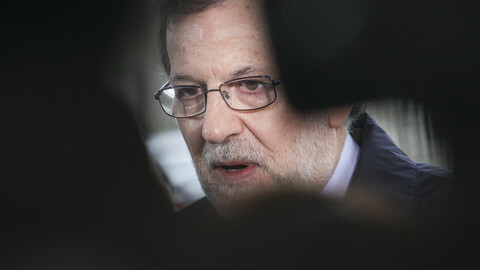 The vote was called by Rajoy after he dismissed the regional government and parliament under article 155 of the constitution, following the region's declaration of independence on 27 October. According to the latest polls, pro-independence and anti-independence parties are very close, and neither bloc is assured to get an absolute majority. 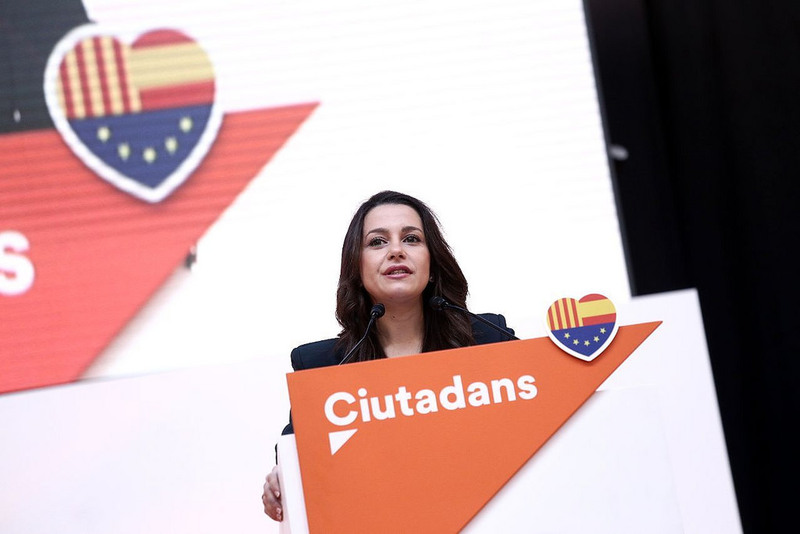 Ines Arrimadas, the leader of Ciutadans, the Catalan branch of Ciudadanos [Citizens, in Spanish], was the leader of the opposition in the parliament that was dismissed. According to the polls, Ciutadans could remain the biggest anti-independence party in the next assembly. Arrimadas, who skipped the Alde gathering in order to campaign, would then be in a position to claim the presidency of the Catalan government. "If we get one seat more than the separatist alliance, and if Ciudadanos is the first party we will propose an agreement with the other constitutional parties," Rivera said, referring to Catalan branches of the Socialist Party (PSC) and of the conservative Popular Party (PP). "We can talk with them," Rivera said. "We have the obligation to try, to propose a government coalition of the constitutional parties." But the liberal leader said that his party had "no position before the election" as to what to discuss with the PSC and PP. "We want to respect the decision of the citizens," he said. If the anti-independence parties were to govern Catalonia, Rivera stressed that the "first thing" to do would be to "go back to the rule of law". "It's impossible to discuss, to achieve an agreement with anyone if they don"t respect the rule of law," he said. "The first thing the president of the Generalitat [the Catalan government] has to do is to respect the rule of law and also to respect the people who think differently," Rivera insisted, in a clear reference to the dismissed Catalan leader Carles Puigdemont. "Catalonia is divided in two blocks: the separatists and the constitutionalists," he noted. "In the future, I don't want red lines between people in Catalonia." "Probably Ciudadanos and the Socialists could be the two parties that can bring the society in Catalonia to a new era, defending the autonomy but also defending the constitution and the European treaties," he said. Rivera and his party have been among the staunchest supporters of the application of article 155 against the separatist process. Last week, the leader of the Basque Nationalist Party (PNV) Andoni Ortuzar said Rivera was "the new authentic Falange" - a reference to the party of former dictator Francisco Franco. "We are defending a model for the future of the country that balances the autonomy of our regions with the equality of our citizens," Rivera told EUobserver, to explain his positions. "Spain is a nation of citizens, not a nation of lands. Sovereignty is about citizens, not about lands, and this is our point," he added. He insisted that he was defending "a classic balance for a federal system", between the autonomy for regions and civil rights for citizens. Asked whether he approved the jailing of Catalan separatist leaders, he pointed out that Spain is "a democratic system", in which "judges decide without pressure from politicians." "If you decide to break the law, you have consequences," he said. "We don't have politicians in jail because of their ideology," he said, adding that "there are millions of people who support the separatist way but they are not breaking the law." 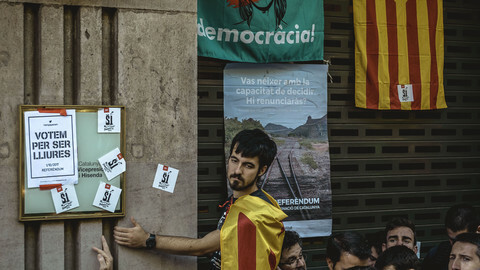 Catalan separatists have made reference to article two of the EU treaty, which guarantees respect for values like human dignity, freedom and democracy, in order to appeal to the EU against the Spanish government. But Rivera pointed out that the Catalan crisis was also about article four of the treaty, which guarantees the territorial integrity of member states. That is why the EU's position, that the Catalan crisis was a Spanish internal matter, "was 'ok' for us," he said. "If we have an agreement, we defend the integrity of all the states in the EU and we also respect the constitution," he said. He argued that "Catalonia is going through a phase of nationalism and populism" and that "Puigdemont is now proposing a referendum where Catalonia would leave the EU, like Le Pen in France." 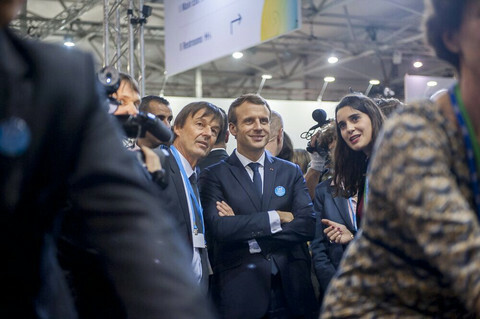 "This is the point that connects populism with nationalism," he said. 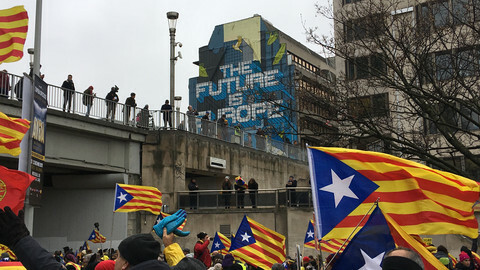 Around 45,000 people marched in support of Catalonia in Brussels to get the EU involved in mediating the conflict with Madrid. 'Europe must realise that it can still play a role in the Catalan crisis,' said self-exiled Catalan leader Puigdemont.